BINC Admit Card 2018 is available for Bioinformatics National Certification Exam 2018. After accepting application form for the Bioinformatics National Certification Exam (BINC), Biotech Consortium India Limited releases Admit Card of BINC 2018. All the candidates who will be applied for BINC 2018 Fellowship Exam are advised to download admit card on the scheduled date. Latest: BINAC 2018 Admit Card for part-1 has been released. Candidates can download their Admit Card from the link provided below. Carry BINC 2018 Admit Card beside other important documents on the day of the exam. Get here complete details of Bioinformatics National Certification Exam Admit Card 2018. 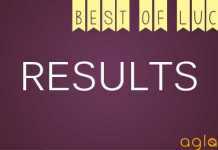 Admit Card: Click Here to download the BINC 2018 Admit Card for Part-1. In the first place, check your registered email ID. 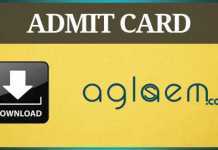 In the event that you have received the email with the admit card download link, go to the email first. Follow instructions in it to download BINC Admit Card. 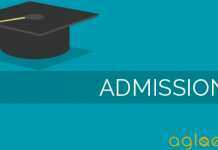 Otherwise, if you are using the link from this page or www.pondiuni.edu.in, then click on BINC admit card 2018 download link. Now you can download call letter. Insert plain white sheet printer attached to PC. Print Bioinformatics National Certification Exam Admit Card 2018. If you have any queries on BINC Admit Card 2018, please ask in comments below.